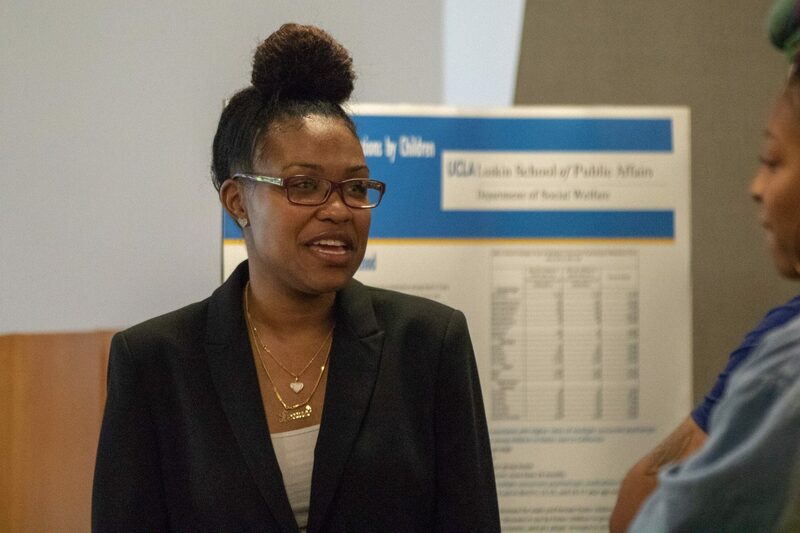 Before graduates crossed UCLA’s historic Royce Hall stage this spring to receive a master’s degree or Ph.D., the Luskin School of Public Affairs was a center of activity with students putting the final touches on required research projects, presentations and poster boards. 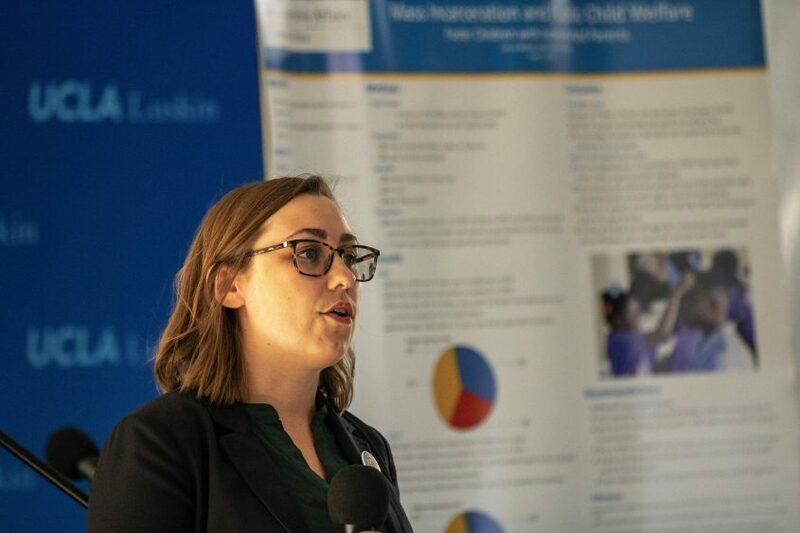 As the year ended, Master of Social Welfare (MSW) students participating in the California Social Work Education Center (CalSWEC) program presented their yearlong research on child welfare issues. 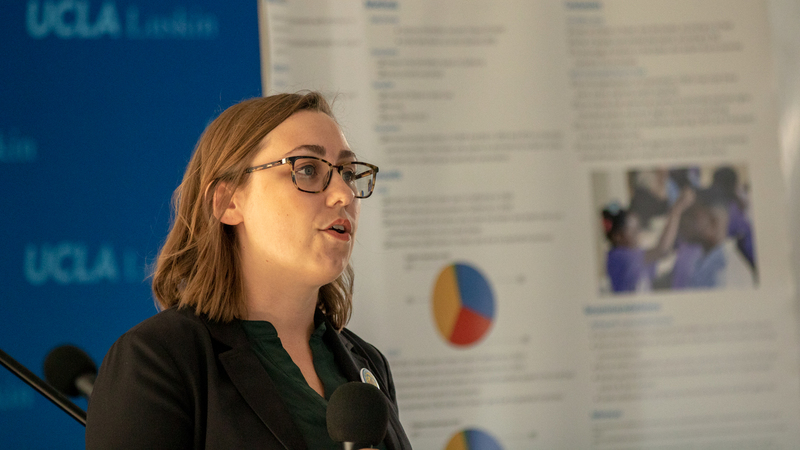 Similarly, public policy master’s candidates (MPPs) wrapped up their studies by presenting Applied Policy Projects – the product of a year’s worth of researching and formulating solutions to important public policy issues. 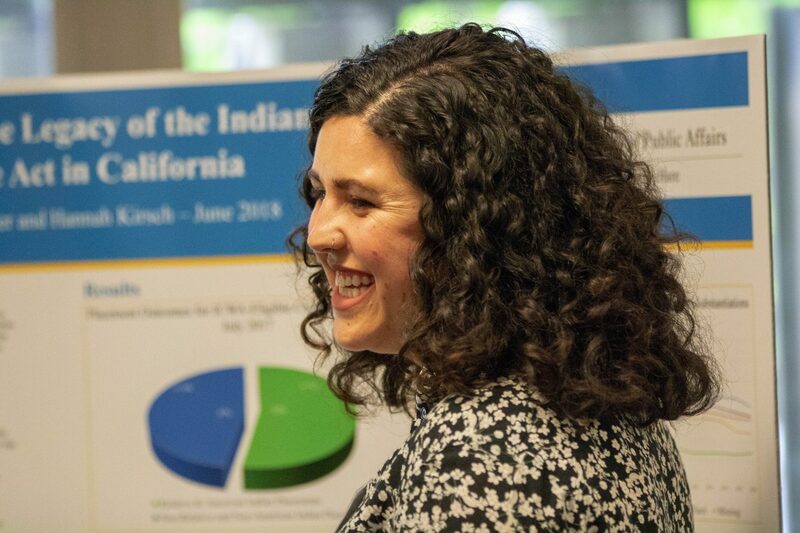 And soon-to-be urban planners displayed their culminating projects at the annual Careers, Capstones and Conversations networking event, following up with final written reports for sponsoring clients. In addition, a student-organized symposium during commencement week focused on social justice research and included a panel discussion. But those were not the only research-oriented events at UCLA Luskin. 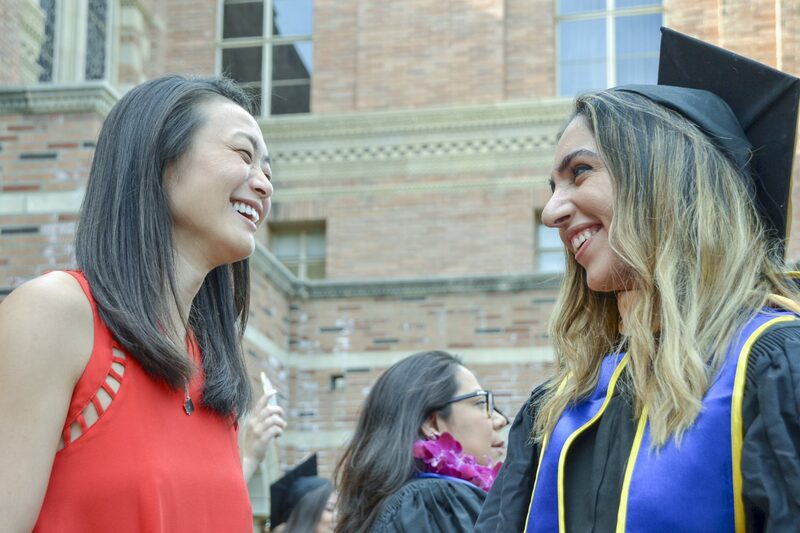 Like most Luskin School colleagues, MSW candidate Roxana Yaghoobian also completed work just prior to receiving her MSW diploma. In fact, her last class and group presentation was the day before commencement. And her final months were highlighted by a happy coincidence when a course she shared with a fellow student also turned out to be a reunion. At the start of the spring quarter, Yaghoobian spotted a familiar face in her leadership and nonprofit management course — Grace Kim, a joint MPP/MD student who had been Yaghoobian’s science instructor at Daniel Webster Middle School in Los Angeles. “She sent me a Facebook message on the first day of class saying, ‘There’s someone who looks just like you — do you happen to be in this class?’” said Kim, who then requested to work with Yaghoobian in her class group. Their project challenged them to envision a hypothetical nonprofit organization that would provide legal, medical, social and mental health services to undocumented immigrant minors, said William Parent, a lecturer PSOE in public policy who taught the graduate course. At the time of the class, Kim was about to leave for a summer in Guatemala to split her time learning medical Spanish and doing a medical rotation in family-oriented medicine. 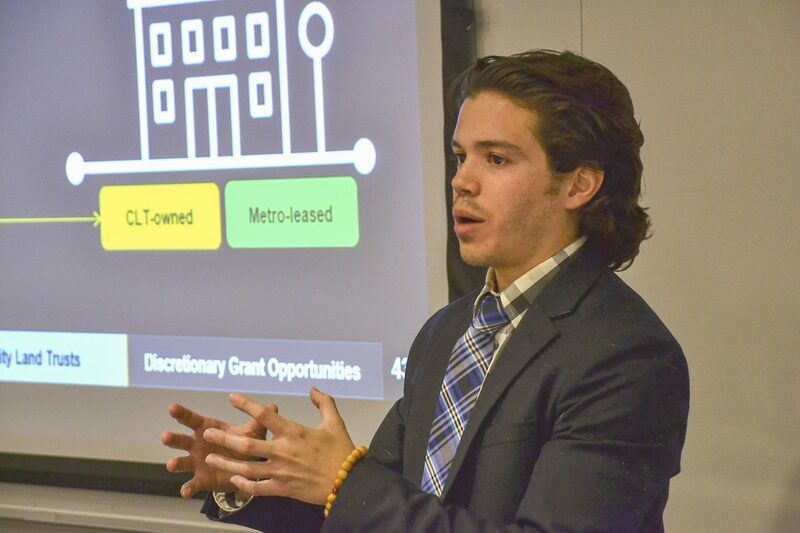 Another group that completed yearend research was the cohort of Master of Urban and Regional Planning (MURP) students, who began commencement week with a presentation of their required comprehensive research project to peers and faculty. The project was the culmination of a 20-week analysis of methods of fostering transit-oriented communities for the Los Angeles County Transportation Authority, one of the nation’s largest transportation agencies. The planning team traveled the next day to Metro’s downtown offices to share their findings and propose recommendations to staff members. The Metro staff was open to the team’s proposals and engaged in what Serafin called “a great conversation” after. “The comprehensive project was made as a way for students to grow with each other as professionals while setting a milestone in our academic achievement, and it definitely felt that way after speaking with Metro professionals,” he said. Metro serves about 10 million people in a 1,400-square-mile area. With 61 percent of Metro’s bus riders and 39 percent of rail riders falling below the poverty line ,there is a critical need to foster transit-oriented communities, the group noted. That is particularly true amid the current housing affordability situation in Los Angeles. Presenter Warren Wells MURP ’18 described work by the group that involved sorting, known as developing a typology, of the station areas around the Metro networks that include 125 existing busway and real stations as well as 51 stations planned or currently in development. After gathering data on population, employment density and other factors, the group presented recommendations to integrate each station with neighborhoods within a half-mile radius. 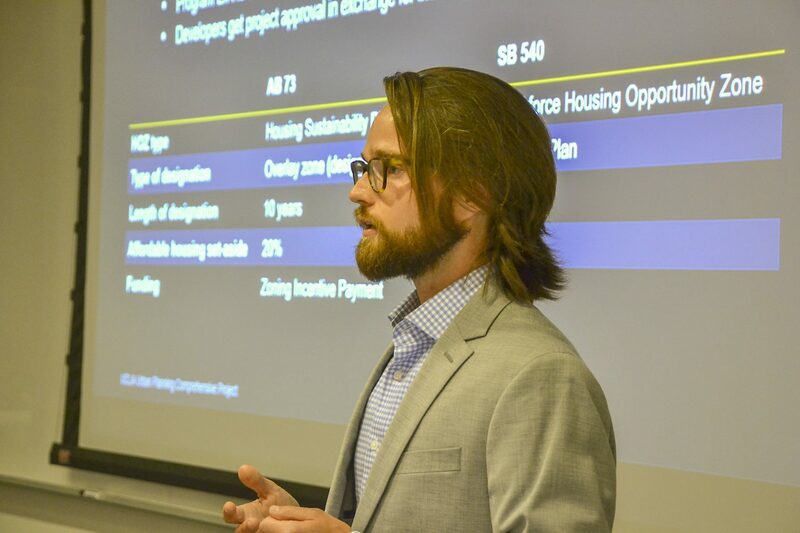 “The class worked on one of the most challenging policy issues facing the region — linking Metro’s investments with the creation of affordable housing,” said faculty project advisor Martin Wachs, distinguished professor emeritus of urban planning at UCLA Luskin. Wachs said that the project produced recommendations that are creative and practical, and he hopes the results will be helpful to Metro as it expands its Transit Oriented Development (TOC) programs. 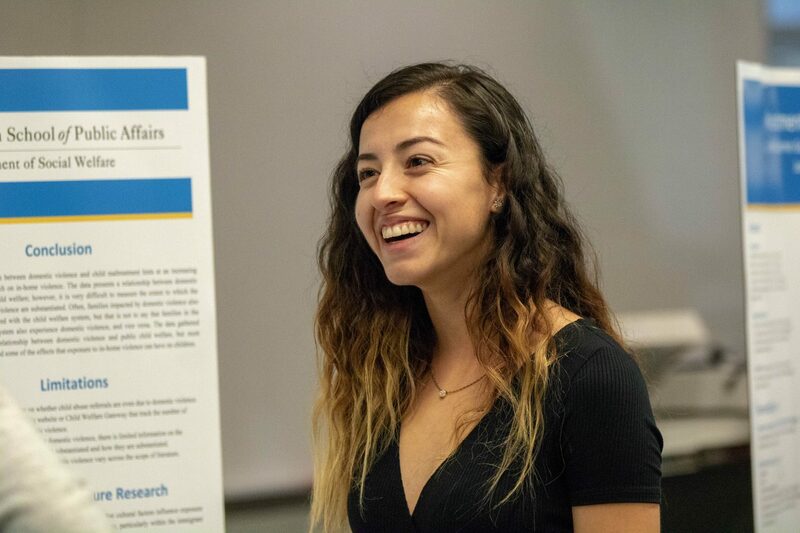 Another yearend research showcase for members of numerous student groups was the “Researching Between the Lines” symposium sponsored by the Luskin School’s Diversity, Differences and Disparities Initiative (D3), which supports student-led diversity programming and events. 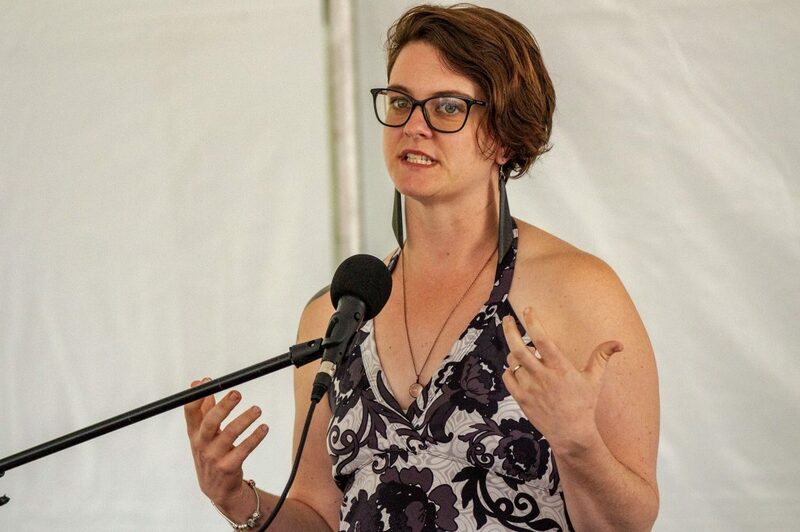 The student-led event focused on issues of diversity, equity and inclusion. 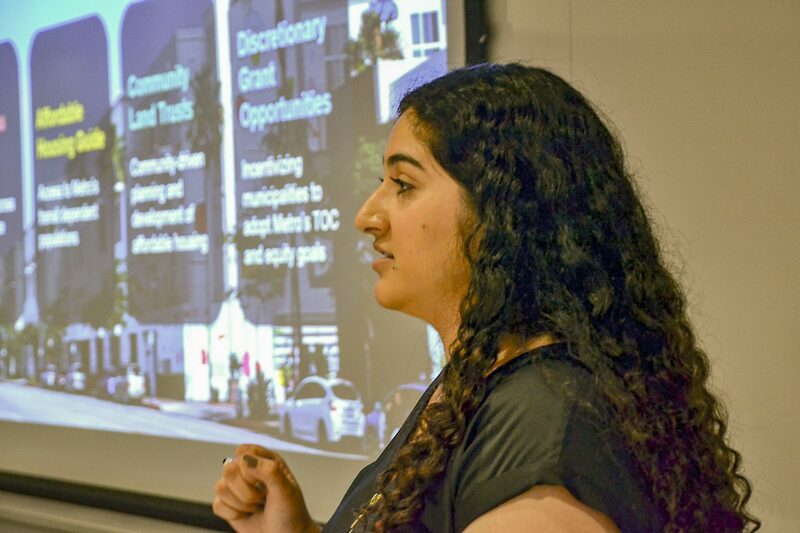 It included reports from students who had traveled to Sacramento to participate in Lobby Days through D3’s Diversity Development Grants, as well as work by other UCLA Luskin students related to issues such as tenants’ rights, student engagement with racial issues, and community outreach and inclusion. 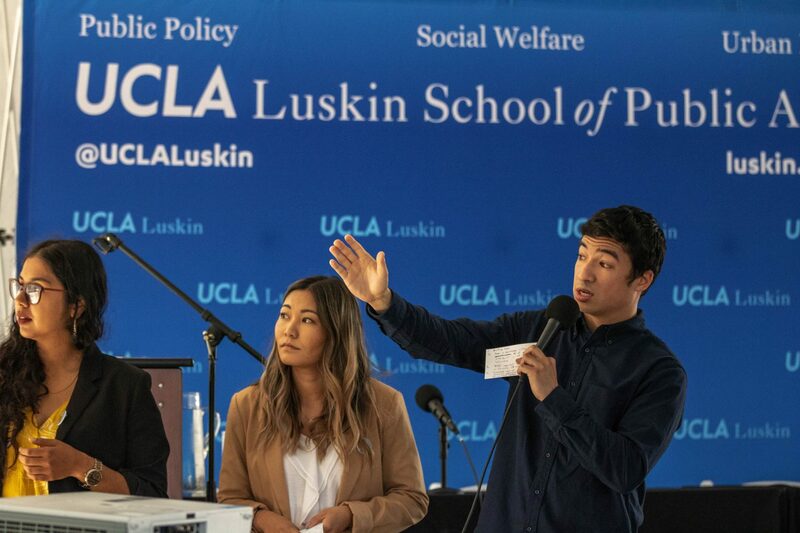 Among the student groups represented were the Luskin Black Caucus, Planners of Color for Social Equity (PCSE), Latinx Caucus, Policy Professionals for Diversity & Equity (PPDE), a social welfare research team, and a number of other affiliated groups. And a panel discussion focused on how D3 helped enable them to carry out their research and activities. Javier Rodriguez MSW ’18 gave a presentation on his work with Underground Scholars at UCLA and efforts to bring artists and vendors from around Los Angeles to campus. 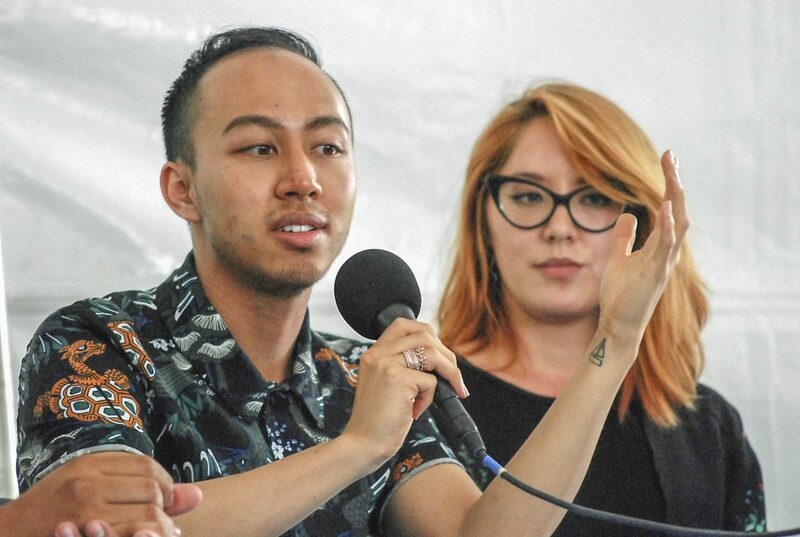 Rodriguez, who grew up in Watts, said he saw a “disconnect between culture and the university” so he and more than a dozen students spent months organizing an inclusive campuswide event. 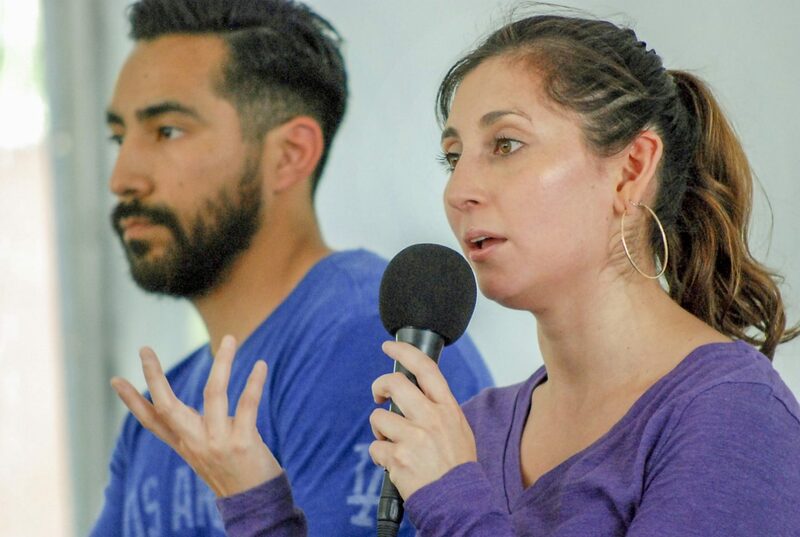 “They were very excited to be part of this community at UCLA, a place where they don’t really get the opportunity to display their work,” Rodriguez said of participants. When choosing schools, the emphasis on research was important to event co-organizer Estefanía Zavala MPP ’18. “And as a student who is already interested in diversity, it was really important to me that the school was doing things like that,” she said. Zavala was a program manager in 2017-18 for D3 and also a member PPDE, which presented at the conference. She wanted an event that highlighted and celebrated the work of UCLA Luskin students.